Security is one of the major concerns in society. Be it for residential or business purposes, industrial or automotive purposes, or, for that matter, any other premises; locks and keys play a very crucial role in today’s modern world. Similarly, lock-related problems abound. This necessitates approaching the right kind of locksmith service providers to overcome difficulties arising out of locks and keys. As with any service, there are quite a few locksmith service providers. Not everyone can be as efficient as expected. Users need to analyze the credentials of the players in the industry and select those with real expertise and capability. Safe Key Shop is one of the efficient companies that has expert locksmiths in Houston, TX. 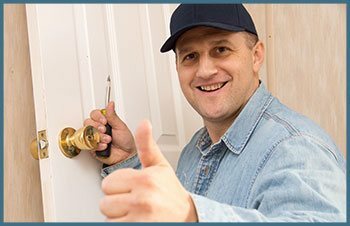 Trustworthiness: We are very competitive locksmith service providers in Houston, TX. People consider identifying and choosing the right service provider is easy. It is in fact the difficult part in getting your lock-related issues resolved. Only a few genuine and reliable companies like ours offer honest service. Qualified: Safe Key Shop ensures that every call is attended by professional and experienced lockmaster; clients are assured of obtaining efficient service. Wide know-how on latest technology: Different clients need different services such as lock installation, door unlocking, re-keying, key replacement, duplicate keys, and so on. Our expert locksmiths have been relevantly trained to address all these issues, and any other problems related to locks. Our technicians are well-versed in the most modern tools and technology. We keep training them with updated skills. Competitive Price: By availing our service, clients not only get the best service but also get the most competitive pricing in the industry. Mobile Services: We have mobile vans fully equipped with necessary tools and devices that are essential in solving any lock-related problems. Regardless of the location of clients, Safe Key Shop provides instant service to clients in any part of the Houston, TX. Available 24/7: For catering to your needs during any time of the day, we offer round the clock service. 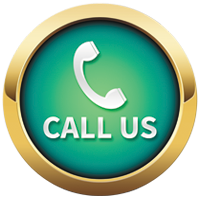 You don’t need to wait for long; we are just a call away. Upon hearing from you, we ensure that our expert locksmith reaches your premises within 20 to 30 minutes. Serving Houston, TX and the surrounding areas: When you are stuck with any type of lock and key problem in the vicinity of Houston, TX, you may contact Safe Key Shop. For quick and effective locksmith service, call ourexpert locksmith on 713-470-0710.